Prof. Ribuga Kang joined The Chinese University of Hong Kong (CUHK) Business School in 2015, having completed her PhD in Management from the Carlson School of Management, University of Minnesota. Prof. Kang’s research focuses on the relationship between alliance partner choice and innovation, examining how agency problems affect alliance partner choices and how firms should balance between exploration and exploitation. 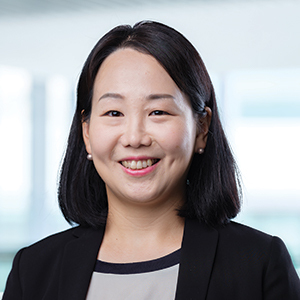 Prof. Kang earned her bachelor’s degree in French literature from Korea University, and master’s degree in Management from Seoul National University and London School of Economics and Political Science. Prior to joining academia, Prof. Kang worked as an industry analyst at Hyundai Motor Company in Seoul Korea. Ribuga Kang and Akbar Zaheer, “Determinants of Alliance Partner Choice: Network Distance, Managerial Incentives and Board Monitoring,” Strategic Management Journal, forthcoming. Ribuga Kang (2017), “An Empirical Examination of Vacillation Theory,” Strategic Management Journal, 38(6), 1356-1370.